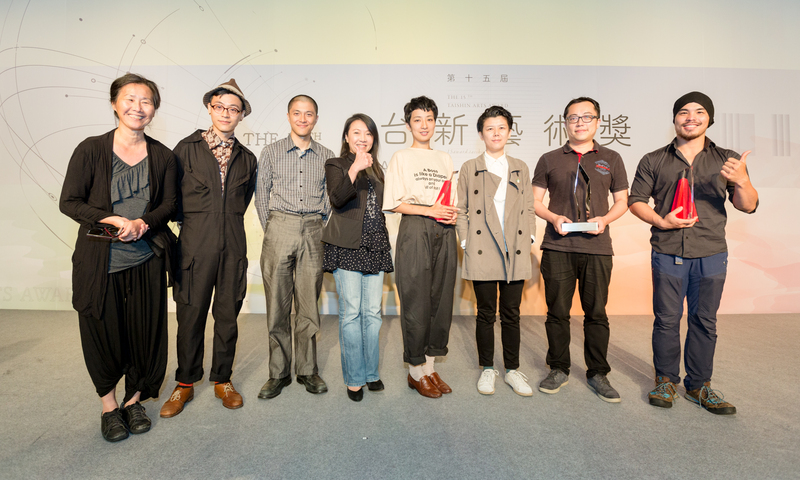 THE BLACK WAVES─Ghost Mountain Ghost Shovel Art Collective, HUANG Ya-li, XIE Zhongqi, LipingLiping, LIU Fang-yi, LEE Shih-yang (NT$ 1 million monetary award). Kids─LIU Kuan Hsiang (NT$ 1 million monetary award). Huai Mo Village─Chia-Wei HSU (NT$ 1.5 million monetary award). 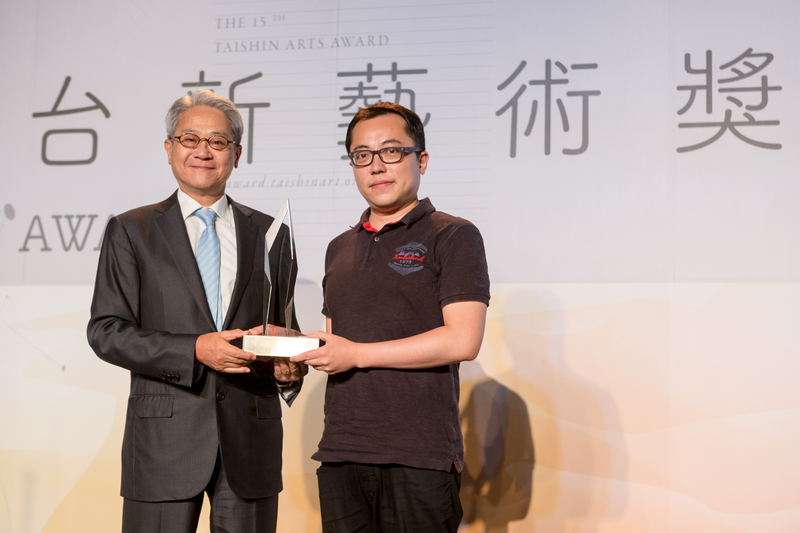 The chairman of the Taishin Bank Foundation for Arts and Culture, Mr. Simon CHENG, gave an opening speech at the ceremony, stating that the importance of the Taishin Arts Award has greatly exceeded the presentation of the Award. It encourages interdisciplinary dialogues with its distinctive and transparent system of selection, introduces remarkable works to the public through art criticism, and generates discussions about arts and the essence of artistic creation in society in the process. After three years of selecting winners in an unclassified manner, re-considering the differences inherent to different types of arts, the Award has accepted suggestions from various fields and re-adopted the classification of "visual arts" and "performing arts." The Award, however, retains the "Annual Grand Prize" to honor the indiscriminating spirit of art, to reflect the interdisciplinary trend in contemporary art, and to stimulate more and greater possibilities in artistic creation. The first award announced in the ceremony was the "Visual Arts Award," which went to THE BLACK WAVES for its outstanding artistry as well as manifestation of innovative thinking, fresh vision and new direction of expression. The work, co-created by Ghost Mountain Ghost Shovel Art Collective, HUANG Ya-li, XIE Zhongqi, LipingLiping, LIU Fang-yi, LEE Shih-yang, started with an avant-garde visual concept and was performed at Rose Historic Site—Tsai Jui-yueh Dance Research Institute. 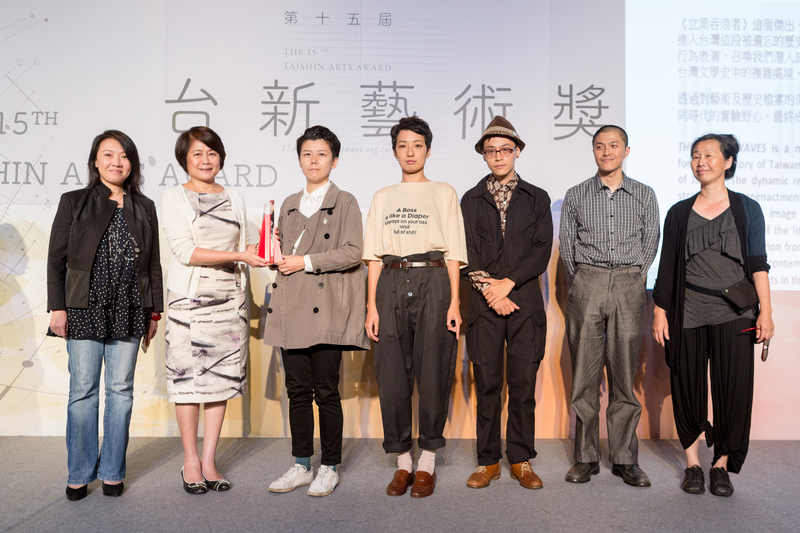 The jury committee thus commented, "THE BLACK WAVES is a moving live art project that allows us to contemplate a forgotten history of Taiwan, when the European avant-garde arrived through the lens of Japan. The dynamic retrieval in this art work is particularly outstanding for its strategies of reenactment and invention. 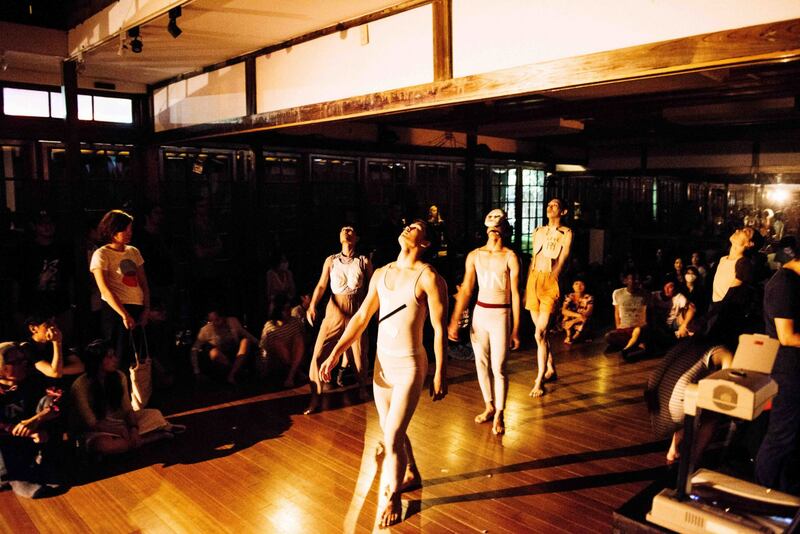 The powerful spontaneous eruption of poetry, gymnastics, image and sound art reveals a complex moment of the literary landscape of Taiwan, the Le Moulin Poetry Society. The final manifestation from intense research into art archives becomes an exemplary transformation of contemporary interdisciplinary expression in a historical site, bridging two moments in time." 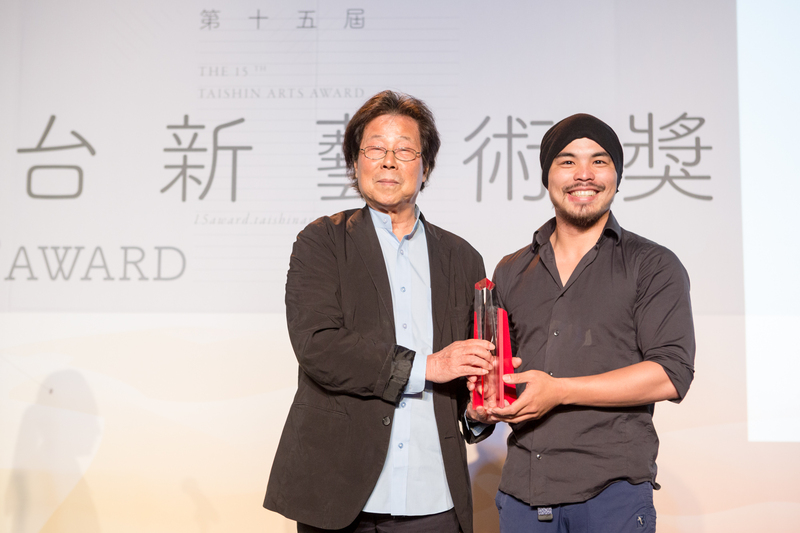 The “Performing Arts Award,” with an emphasis on overall production, masterful artistic performance and creativity, went to choreographer and dancer LIU Kuan Hsiang, who produced Kids at Cloud Gate Theater. The work has won the favor of the jury committee that gave the following praises about the work: "Kids presents the exuberance of life in the valley of death. This work draws on and goes beyond the choreographer’s personal experience facing death to meditate on the ever-present issue of mortality that haunts humanity. It demonstrates the choreographer’s rational meticulousness and calmness in the form of almost delirious ritual, enabling the audience to witness the sublimation in wild and irrational scenes. The choreographer creates abundant and abstract images on the stage with highly original body language and distilled theatre elements. 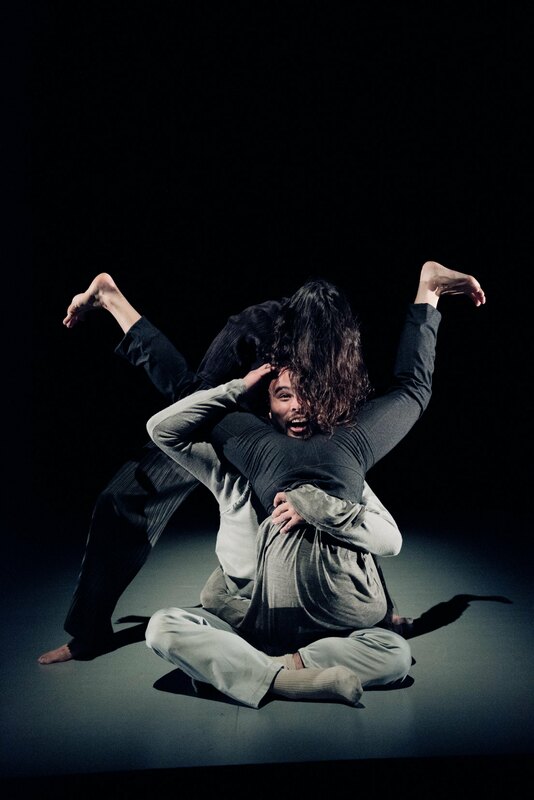 The audio recording of a dialogue between him and his late mother is transformed into a wondrous soundscape, intensifying the explosive, layered and impressive performance by three excellent dancers." The "Annual Grand Prize" upholds the ideal of breaking through existing frames and honors the spirit of interdisciplinary exchange and exploration. This year, among the nineteen finalists, the jury committee gave the prize to Chia-Wei HSU's Huai Mo Village, and unanimously agreed that "Huai Mo Village is awarded the grand prize for its artistry, its strong humanitarian concern and cross-cultural features, juxtaposing this place and the other place, reality and virtuality. HSU Chia Wei creates an engaging, complex universe that opens up understanding and imagination of geopolitical events, with their continuing ramifications on human beings through time. Huai Mo Village discusses a secret history and forgotten people resulting from the political struggles of the Cold War, at the border of Thailand and Myanmar. HSU, who is an outsider in this context, collaborates with the protagonists to collectively author their narrative. The protagonists are confessors and interrogators, with the viewers being suspended in an impossible return." 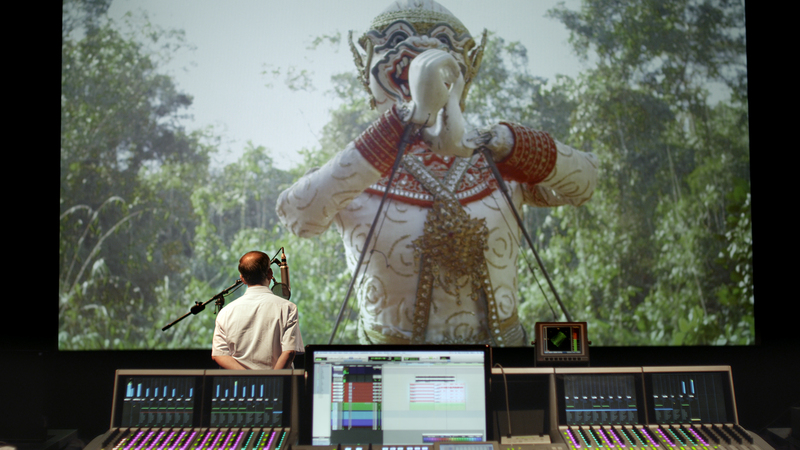 The Award's final selection jury committee this year was formed by four Taiwanese jurors, including WU Mali, ZHANG Xiao-Xiong, Hung Hung, and CHEN Kuang-Yi, and three international jurors, including the Director of the OK Offenes Kulturhaus Oberösterreich, Linz, Austria, Martin Sturm, the Festival Director of the Singapore International Festival of Arts, Ong Keng Sen, and the Artistic Director of Performance Space, Sydney, Australia, Jeff Khan. After three days of meetings and discussions, the jurors selected the three winners of the "Annual Grand Prize" for the NT$ 1.5 million prize money, the "Performing Arts Award" and the "Visual Arts Award for the NT$ 1 million prize money each. For the award ceremony this year, FU Hong Zheng, the director of M.O.V.E. Theatre was invited to be the program director. The young performer couple of Po You Set, HSU Po-Ang and HUANG Yulin, hosted the ceremony in the manner of Chinese opera two-man comic act, showing great chemistry with their witty repartee. Young percussionist, CHEN Yi, and theatre performers, LIU Kuan-Ting and LU Ming-Yao, adapted and performed This is Not a Ball, an original work of the French band, Compagnie Kahlua. The humorous and creative performance eased the nervous atmosphere and added a sense of relaxedness and amusement to the ceremony.